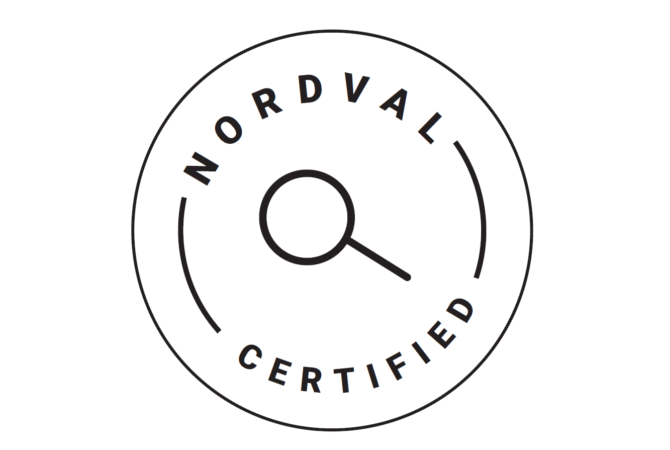 External certification by NordVal confirms that results obtained by LactoSens®R are equivalent to the reference method HPLC. The recently accepted NordVal International validation assures that LactoSens®R lactose biosensor assay kit performs with high accuracy and specificity down to detection limit of 0.008% lactose. All characteristics are found to be in compliance with claims, demonstrating equal performance with the reference method HPLC (ISO 2262 IDF 198). External validation studies have been performed to prove that the biosensor assay kit LactoSens®R can be used to determine residual lactose in milk samples with a fat content of up to 36% as well as in fermented milk products like yoghurt, cream, sour cream and curd. Furthermore, it was approved that the sensor is also applicable to lactose-free flavored yogurts and milk drinks (e.g. coffee, cacao, fruits). In addition, it was verified that the sensors are stable for at least 3 days storage at 30⁰C. The international dairy technology platform ‘Dairy Technologist’ describes our LactoSens biosensor as a ‘Rapid Computerized Lactose Content Determination Method’ that can be adopted for both industrial and artisanal use. Considering the importance of dairy products as a means to fight world hunger and malnutrition, LactoSens can make a significant contribution in developing countries with a high prevalence of lactose intolerance. DirectSens will attend the Diabetes Technology Meeting 2018 in Bethesda, Maryland, November 8-10, 2017. If you are interested in meeting us there, send us an email! 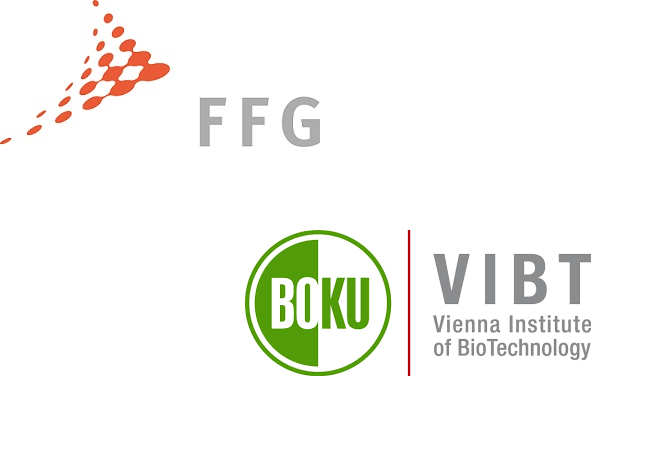 DirectSens started a cooperation with the laboratory of Prof. Dietmar Haltrich at the VIBT BOKU for the project „StaREliS – Stabilisation of Redox Enzymes for long-term implantable Sensors”. StaREliS aims to elucidate the deactivation mechanism of redox enzymes, which should serve as the basis for the development of stable enzymes for long-term biosensors. The project is funded by a Bridge grant from the the Austrian Research Promotion Agency (FFG). 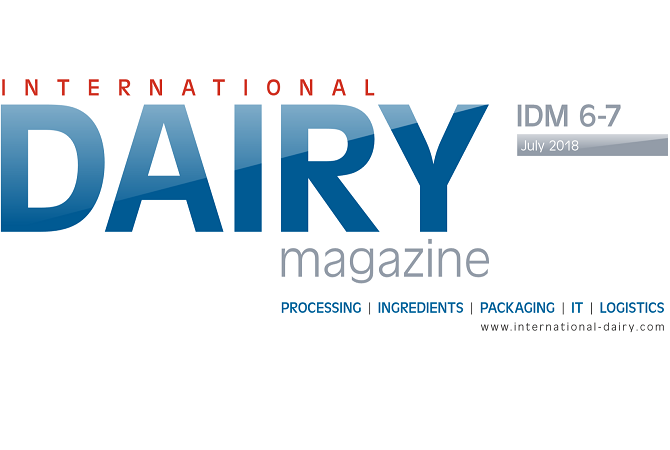 From the dairy industry point of view, IDM stresses the need for a precise, fast and easy method of on-site measurement of residual lactose – to bring it down to the recommended 0.01% lactose-free threshold. This has been made possible thanks to the technical breakthrough of LactoSens®. The recent NordVal validation of this method against the reference method for lactose determination allows dairies to easily integrate LactoSens® into their certified quality management system: This method’s high levels of accuracy, specificity, stability, and reliability have proven to be in line with the ISO 17025 standard. 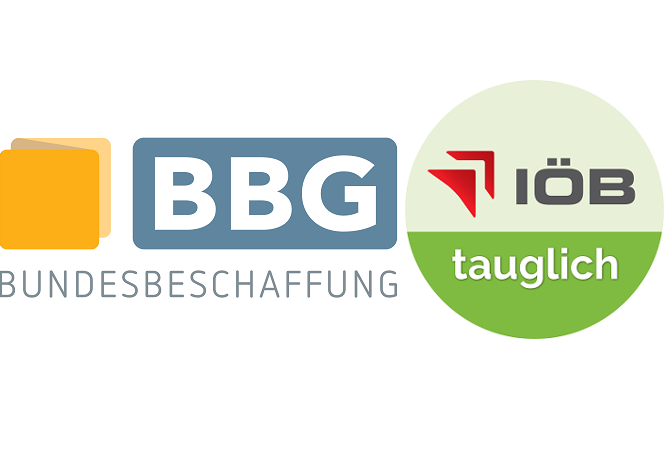 LactoSens® is awarded with the IÖB seal, proving our solution to be recommendable to all Austrian public administration services: www.innovationspartnerschaft.at is an EU-wide unique platform building a bridge between the public administration and innovative companies. 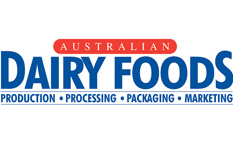 The official magazine of the Dairy Industry Association of Australia has run a technical entry in the Equipment & Services section: The editor described the LactoSens® biosensor direct assay detecting principle and the suitability for various user groups. LactoSens® lactose test kit has obtained the NordVal International Certificate, which confirms that LactoSens® in a few minutes can measure lactose levels with the same precision as the reference method HPLC at ISO 17025 accredited labs. The certificate can be downloaded here. DirectSens GmbH won this year’s innovation award “Mercur 2017” in the category “Life Science” and was awarded the “Start-up Star”. 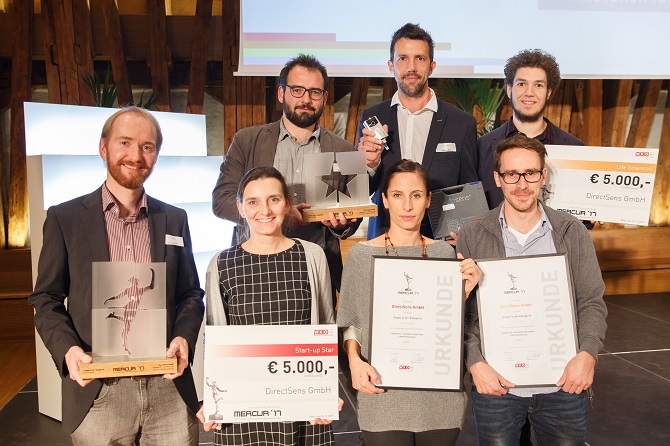 For the 30th time, the Vienna Chamber of Commerce awarded the Mercur Innovation Prize. Around 200 guests came to the awards ceremony on 14 November in the Dome Hall of the Vienna University of Technology. From more than 100 applications, DirectSens GmbH won the prize in the category “Life Science” and additionally the award “Start-up Star”. DirectSens has managed to translate the results of basic research into a business idea and a marketable product, according to the jury. The lactose biosensor test kit Lactosens has already been successfully established in the global market. With the help of the DirectSens enzyme technology even low lactose concentrations can be measured quickly and precisely. In parallel, DirectSens is developing a glucose sensor for diabetics that outperforms conventional systems in terms of performance, accuracy and cost. DirectSens GmbH is nominated for the State Prize Innovation and for the SME Award Econovius as representative of Vienna.